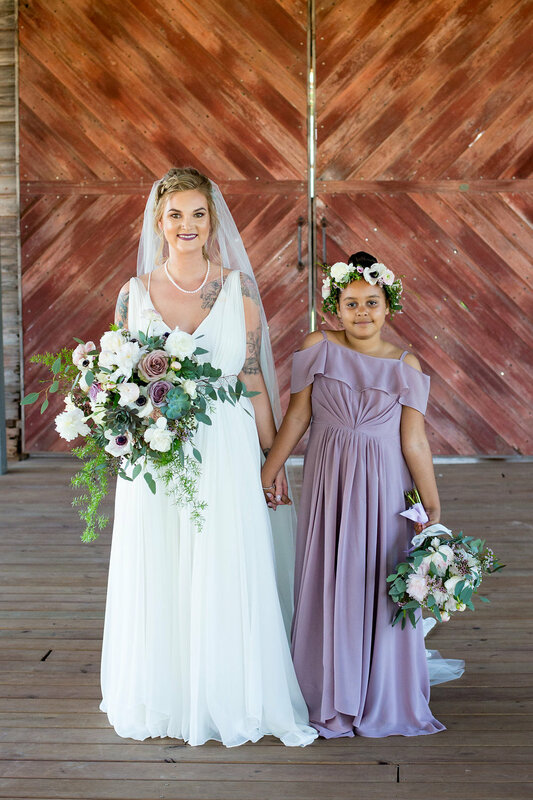 Jordyn + Dominique said “I do” on May 5, 2018. 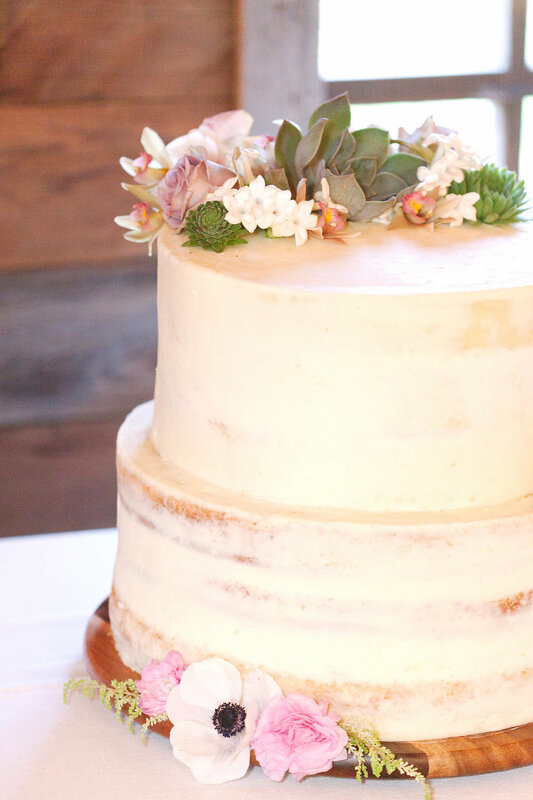 We had the most wonderful time celebrating their big day and are thrilled to finally be featuring their love story + stunning whimsical wedding. Jordyn first met Dom while they were still in high school. Though they never really hung out then, they were able to find each other and reconnect through Facebook (tale as old as time!) Attracted to Dom’s incredible humor, Jordyn rallied with her friends to make a plan on how to get him to ask her out on a date. After much thought, they decided on a strategic tactic with a high success rate: persistently liking everything that he posts. Finally, he messaged her and asked her to join him for pizza and movie. Five years into the future, and lots of pizza later, they are now husband and wife! The fifth of May could not have been a more beautiful day for this sweet couple to say their vows. The warm sunshine and bright blue cloudless sky only enhanced the dreamy, whimsical feel of this spring wedding. 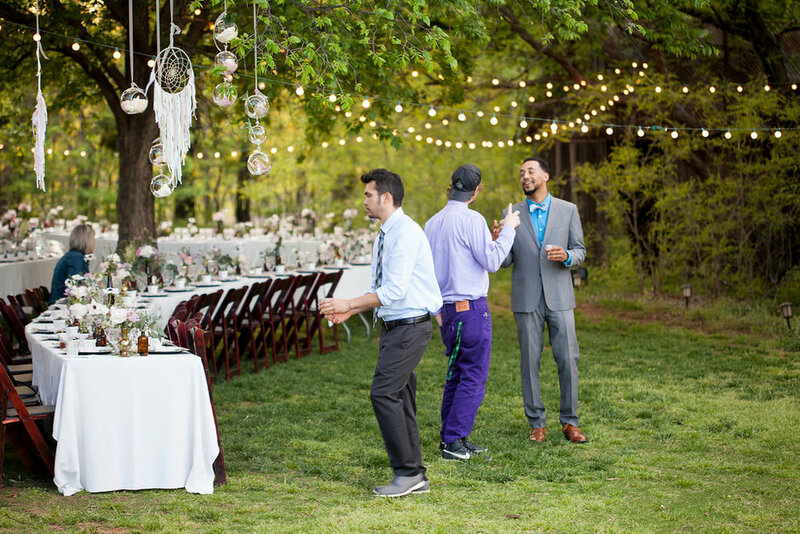 To make these pretties even more special, the Bride hand made the dream catchers hanging from the trees to add a pop of personal touch to her wedding day. Jordyn says that now they have a lot of them hanging up in their home now to remind them of their special day. Jordyn and her maids had too much fun spending the day getting glam together. This bridal party stunned in their feminine gowns picked especially for them. Jordyn’s bridesmaids got to express themselves by picking out their own dresses. Trochtas floral creations so perfectly matched the soft color pallet the girls were modeling. Jordyn looked nothing shy of a goddess in her Meg Guess wedding gown. The plunging neckline and delicate fabric were the perfect duo with the cathedral veil. Marcela Hernandez gave her a glam bridal look that highlighted her already beautiful features. Jordyn was the absolute definition of sweet and sultry. 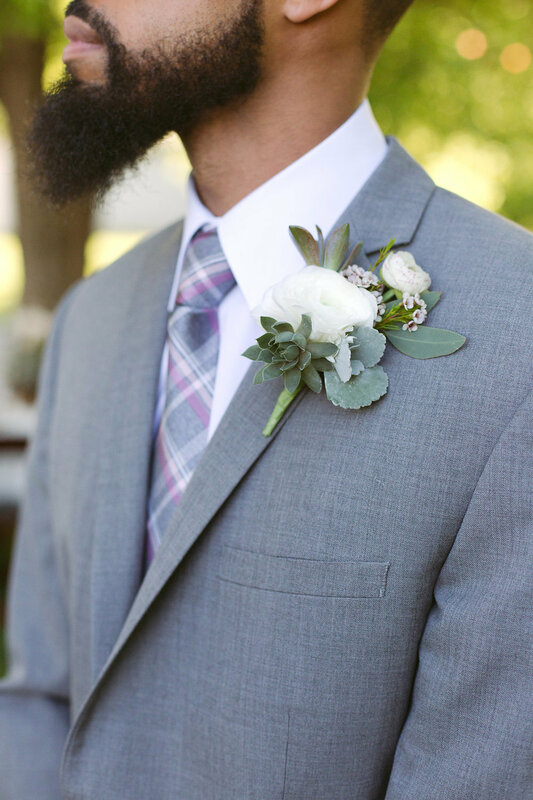 The fellas also were looking mighty fine dressed out in their wedding day best from Alltons. From start to finish, this ceremony was so full of precious moments and personality. 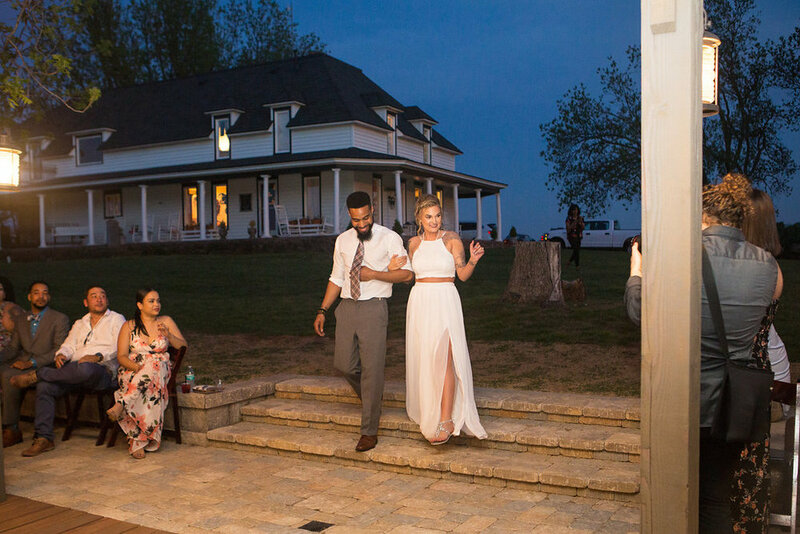 Jordyn says that her favorite moments from the wedding were Dom’s hilarious vows to her and the sweet vows he made to their daughter, Ava. 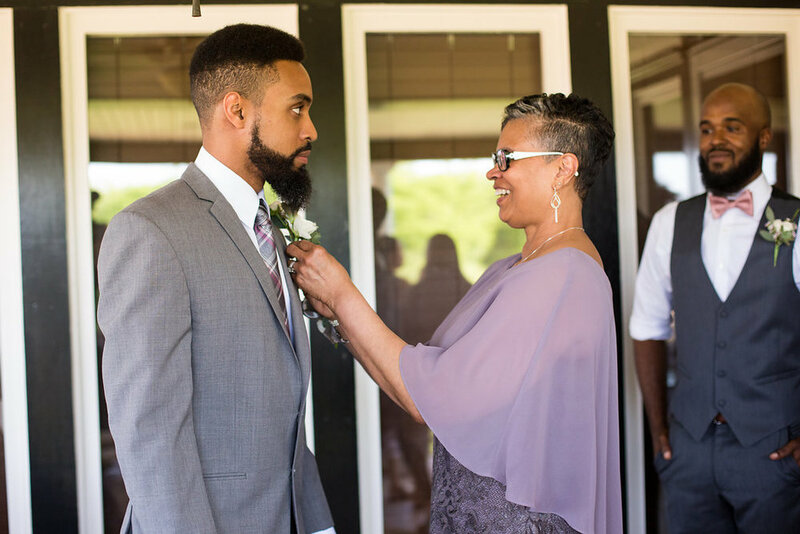 She told us: “Waking down the aisle I just had this feeling of peace; I felt like I was finally coming home!” She also loved how special her walk down the aisle was. The bride and groom did not see each other until she walked down the aisle. They both agreed that not seeing each other somehow made it so much more special! After the ceremony, the new Mr. + Mrs., along with their family and friends, headed to the Barn for an evening of celebration. 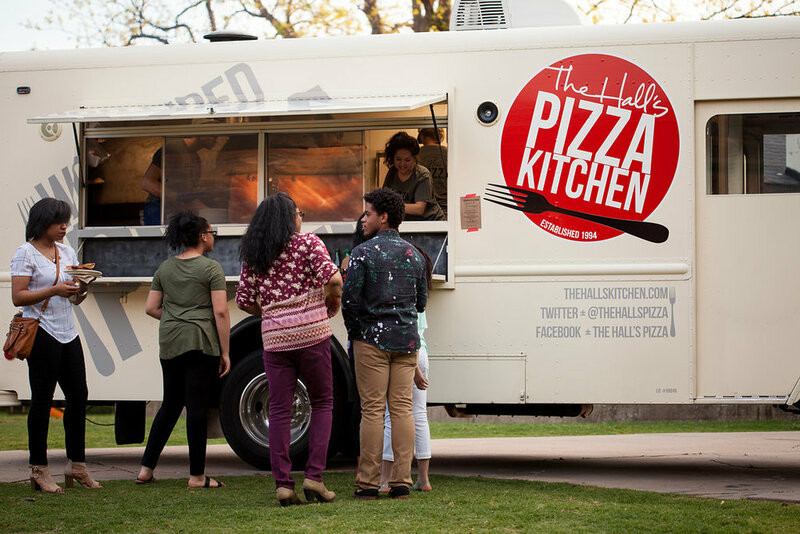 In honor of Cinco de Mayo, Big Truck Tacos along with The Halls Pizza Kitchen came out to serve dinner. Guests enjoyed an evening of dinner and dancing while laughing along with the blissful couple. 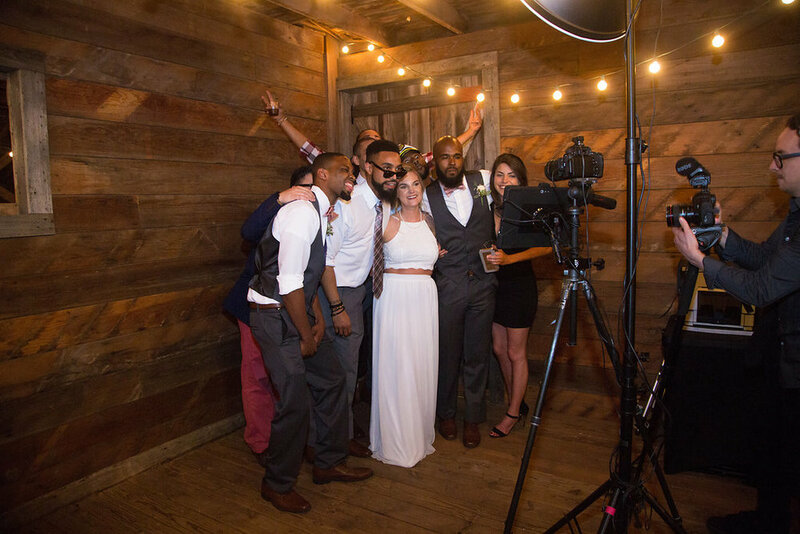 Jordyn and Dom’s big day was something they will always remember. 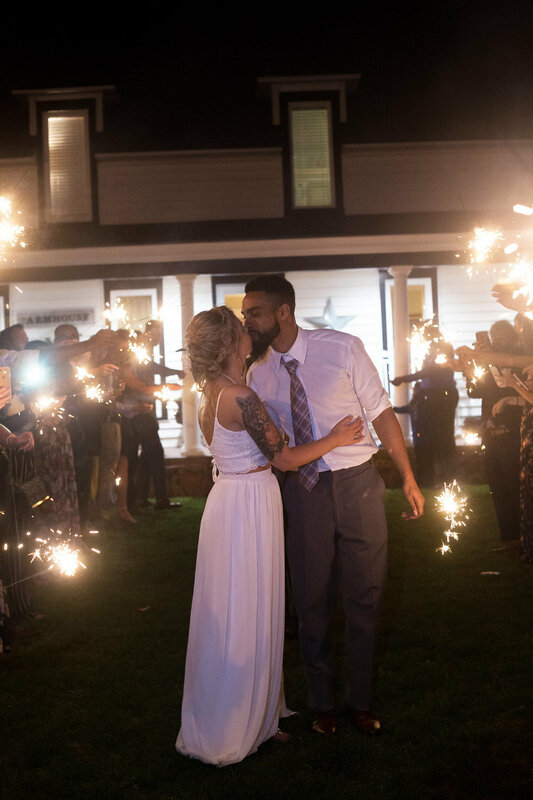 The couple closed out the night by waving goodbye to their loved ones as the ran through their sparkler send off. 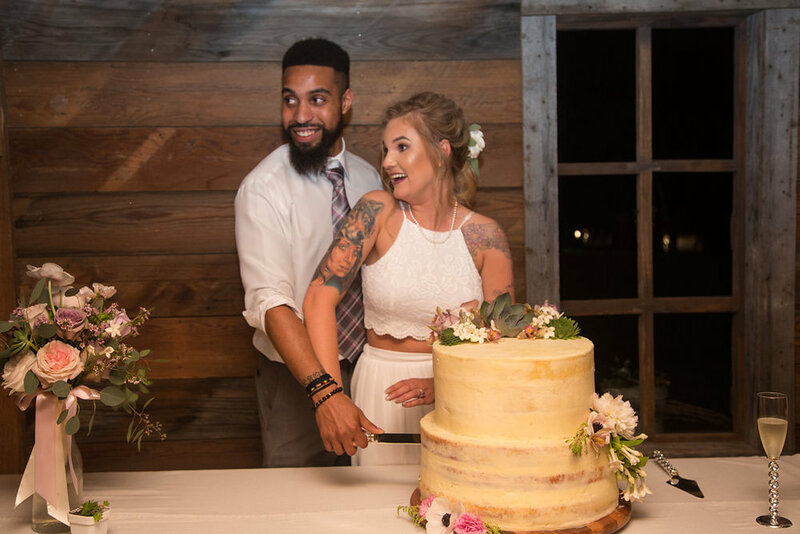 We are so happy we got to be a part of your special day and wish you all the love in the world!